The grand opening for Perdue Farms new wellness center was held on Tuesday with Governor Nikki Haley and Perdue Farms Chairman Jim Perdue in attendance. Randy Brown, Dillon-Director of Operations, said the event was a celebration of a promise fulfilled and would increase access to healthcare for Perdue’s associates and their families. He said the construction of the wellness center was an example of Perdue’s “people first” philosophy. The new wellness center is a $700,000 capital investment and will offer primary care through a fully equipped onsite clinic staffed by healthcare providers from the community. The newly constructed stand-alone facility at Perdue’s Dillon facility replaces a smaller facility inside the plant that served employees only. 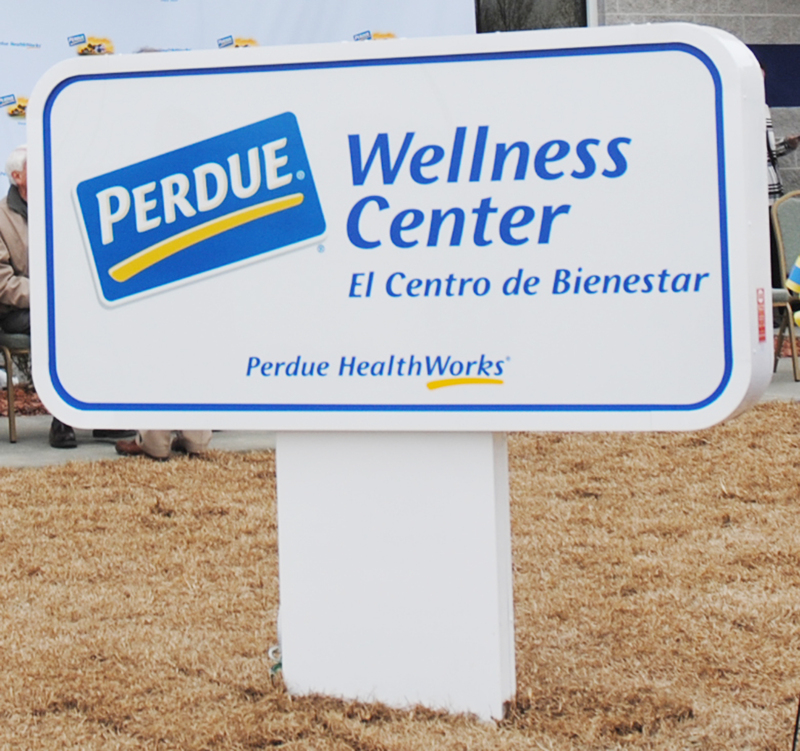 The new Wellness Center extends access to dependents enrolled in Perdue’s healthcare coverage. Dr. Roger Merrill, Perdue’s Chief Medical Officer, said this is the 17th wellness center built by Perdue and the 15th in operation. Perdue’s wellness centers offer primary care, women’s health services, occupational health services, pediatric care and onsite laboratory draws. According to Dr. Merrill, the onsite Wellness Centers overcome two of the biggest obstacles to obtaining primary health care: accessibility and affordability. Employees can make appointments to see a health care providers at the Wellness Center without taking time off from work and while still getting paid for the time. For associates and dependents covered by Perdue’s insurance, the cost to visit the Wellness Center is only a $15 co-pay. Associates not covered by Perdue’s insurance can visit the Wellness Center for $30 per visit. Jim Perdue said the wellness center is a “win-win” situation for the employees and the company. He said employees will get affordable health care which will ultimately lower health costs. He said locating in Dillon was one of the better decisions that Perdue had made and that the workforce was fantastic. Governor Nikki Haley said Perdue had given South Carolina a big reason to smile today. “This is a great day,” she said and spoke about the great companies in South Carolina. After Haley’s comments, a ribbon cutting was held as well as a tour of the new facility. 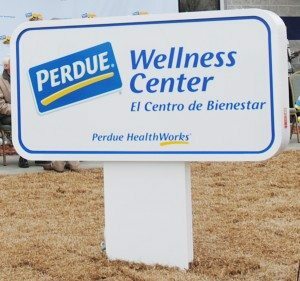 The Wellness Center is a part of Perdue’s comprehensive health and wellness program, which emphasizes primary care and control of risk factors and manageable diseases. The program includes the Perdue Health Improvement Program (HIP), a voluntary workplace health promotion program. HIP received national recognition as a C. Everett Koop Health Award winner and was honored by the U.S. Department of Health and Human Services with a Secretary’s Innovation in Prevention Award. Perdue also offers discounted health insurance to employees who voluntarily participate in HIP, see a primary care providers on a regular basis and agree to take an active role in managing their risk factors.